Seeburg made in the 30s and 40s good and reliable jukeboxes, including the counterpart of the 1015, the Trashcan. Seeburg became widely known after World War II with the M100A, a jukebox almost as wide as high, a jukebox with room for up to 100! 78-rpm records. The M100A was also the first in a new era, the "Silver Age". An era where the Detroit-influences prevailed, a logical styling choice in a country which was obsessed by the car at that time. This resulted in lots of chrome, glass and clean lines. In 1955 Seeburg started producing 200-select jukeboxes, including the V-200. 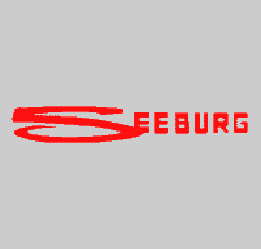 Seeburg the inventor of the 100-select, the "Silver Age" and the 200-select.